The heavy snow is over, but scattered wintry precipitation will continue into Monday. 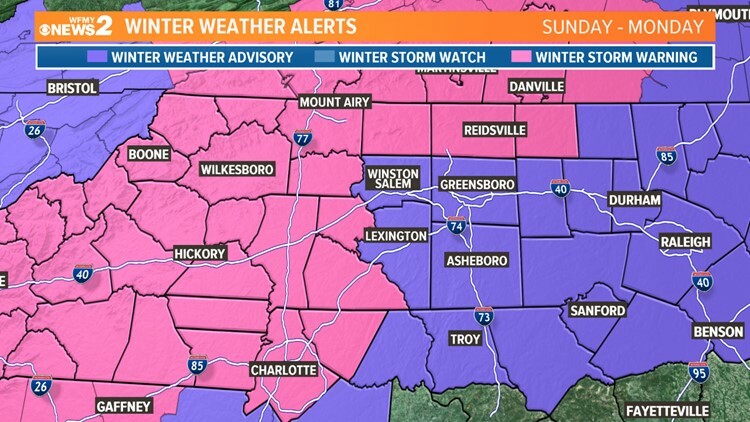 GREENSBORO, N.C. -- After a round of very heavy snow Sunday morning, we're starting to see the worst of the storm move away. As we head into Sunday night, we'll see a last round of lighter, scattered precipitation develop across the area. 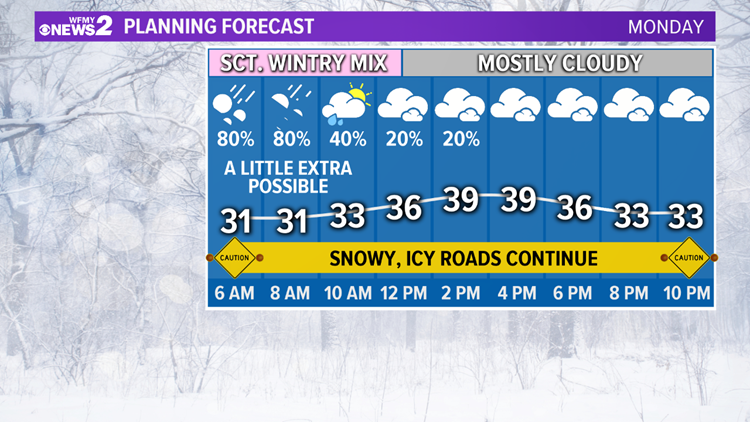 This will include a mix of snow, sleet, and freezing rain. In general, an additional 1-2" of accumulation will be possible tonight through midday Monday. Through Monday afternoon, we'll finally start to clear out. Although the precipitation will be over, roads will still remain dangerous in spots the next several days. 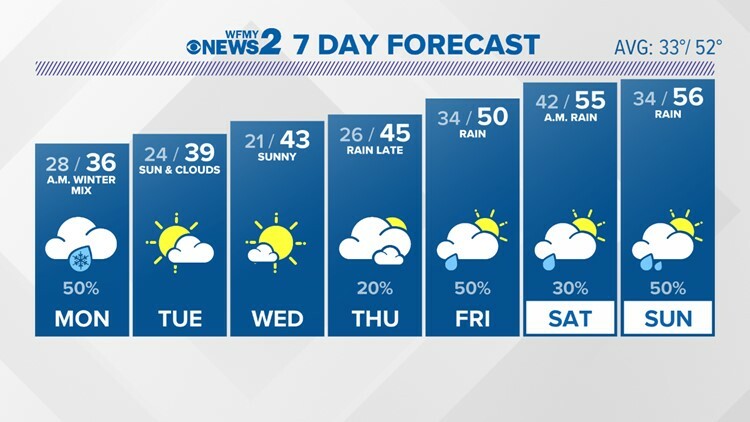 We'll see some sun through midweek, then warmer and wetter conditions this weekend. 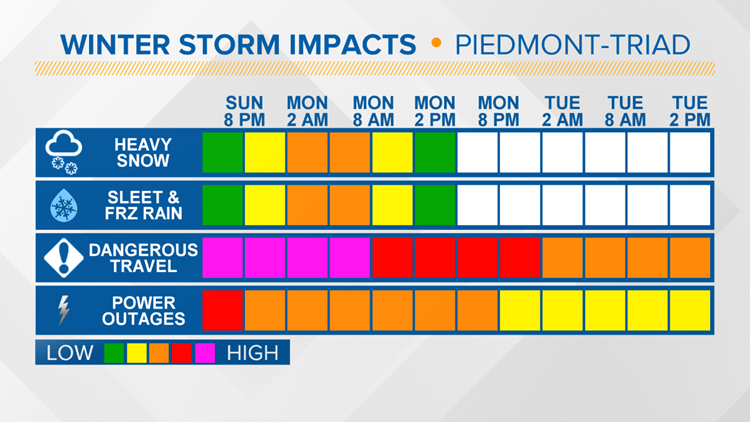 We're likely to see widespread dangerous travel at times through Monday, with neighborhood roads potentially staying rough for several days. 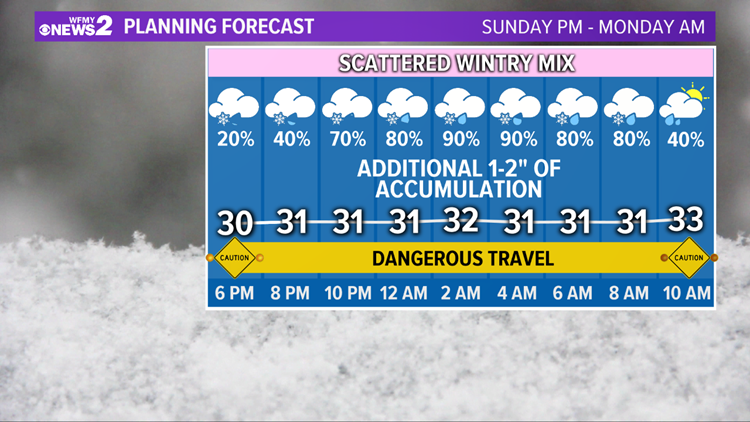 Power outages will continue with the storm due to the impacts from the wintry mix.